Today started off promising – I had to go into work extremely early so I got out by noon and had lunch. After that, I figured I’d hike Olympus again. 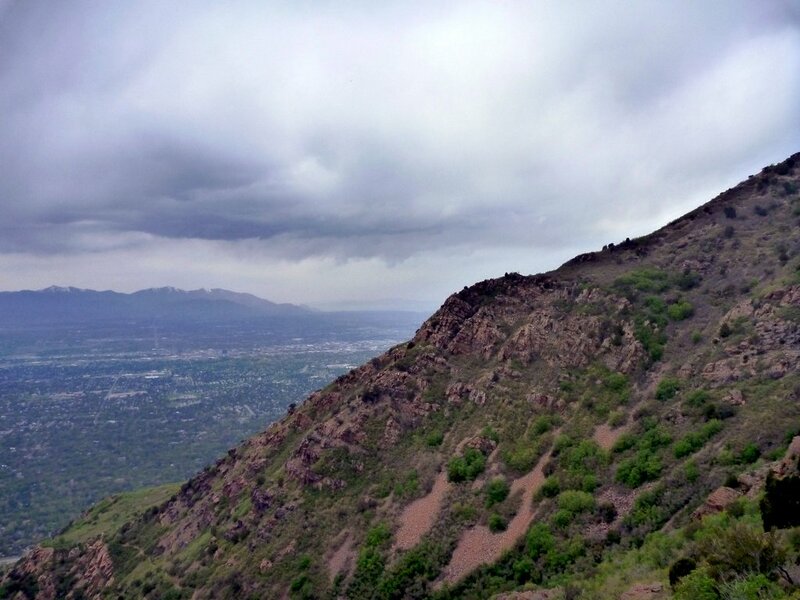 Unfortunately, some clouds and rain rolled in and I turned around about halfway to the top. I cut my time to the top by about a third since Sunday though, so progress is being made fitness-wise. 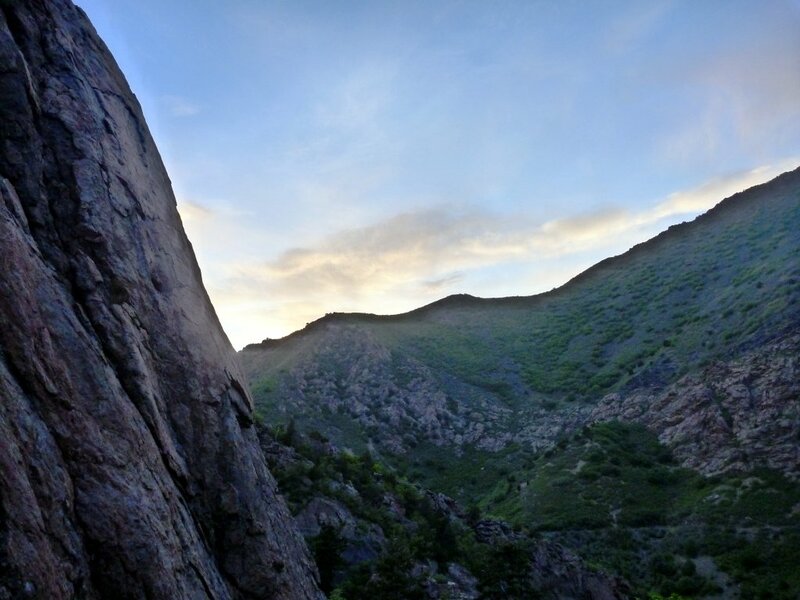 The upside of getting rained out on Olympus is that I got home in time to change and head out to the Wasatch Mountain Club’s weekly Thursday night climb at Penitentiary Wall, in Big Cottonwood Canyon. This is the second time I’d climbed on real rock, so it was exciting to do some quality crack climbing. From left to right, I climbed three routes: Climb and Punishment (5.9-), Tax Evasion (5.7) and Speed is of the Essence (5.7). 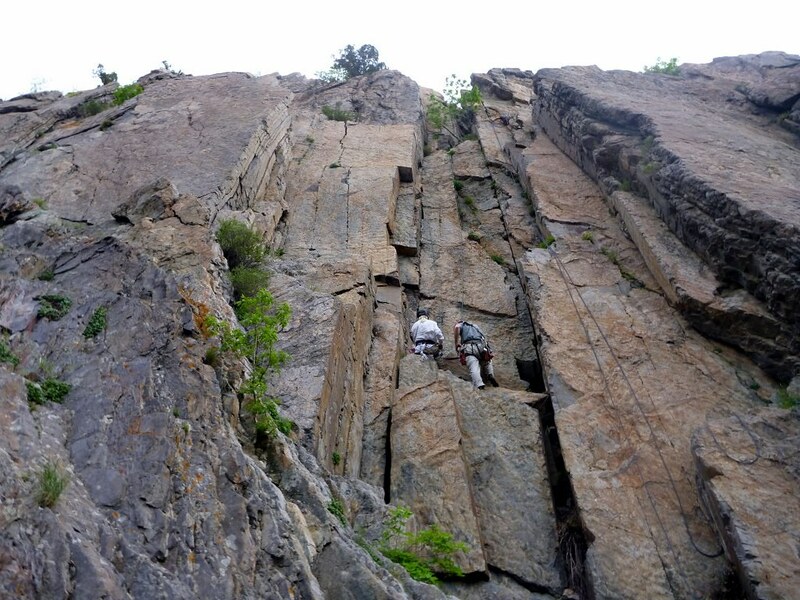 Climb and Punishment in particular was great – my first exposure to crack climbing. The rock was grippy, everyone was very friendly and the environment was novice-friendly. I’m hoping to go back weekly to keep getting better at rock climbing. Tomorrow, a buddy and I are headed down to Zion National Park. We are planning to hike Angel’s Landing on Saturday, do a quick backpack Saturday night to Sunday afternoon with a couple of quick mountain hikes, and returning Sunday night. Should be a blast! Look for a long post then.